Expanding the Boundaries of Brick and Mortar. We are on a mission to remake retail. Helping build retail experiences that get people off the couch and back into the store. HighStreet Collective is the practicing authority on retail innovation™. We are the ‘roll-up-our-sleeves’ kind of consultants. 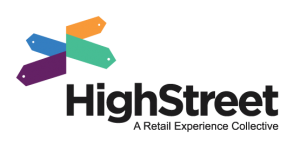 Working with retailers, brands and suppliers alike, HighStreet has a deep understanding of shopper behaviors, thoroughly understands retailer needs and wants, and knows how technology can be used to enhance the shopping experience. Our clients benefit from our expertise in retail, digital innovation, consumer behavior, brand development, customer experience, marketing and store design. Click on the image below to download our one-pagers.